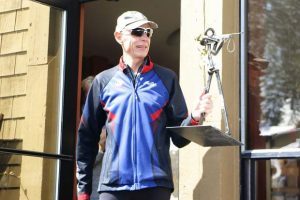 Big Blue Adventure closed out the 2018 racing season last Sunday, with the third annual Great Trail Race. 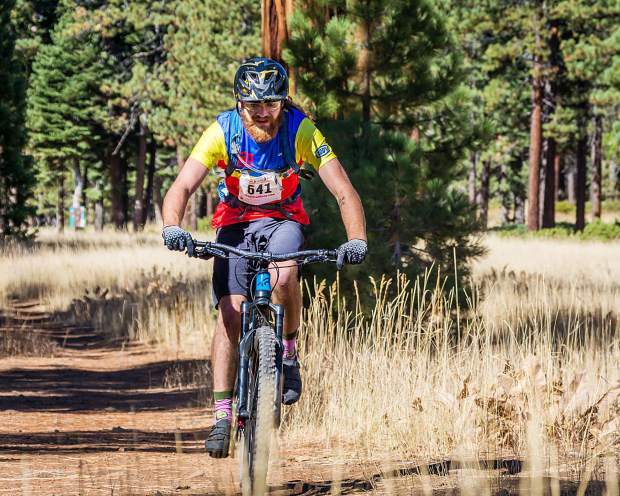 The mountain bike and trail running event took athletes on single track and fire roads from Tahoe City to Truckee, and benefited Tahoe Nordic Search and Rescue. Local athletes had a strong performance across the two distances, claiming several top finishes in both the mountain bike and trail race. Steffen Cuneo, 17, of Truckee, captured first place overall in the Elite Course 36-kilometer run. Cuneo won by nearly three minutes, finishing with a time of 3 hours, 25 minutes, 24 seconds. Tahoe City’s Kelly Nourse was the top woman, crossing the finish line with a time of 3:28:46 for third overall. In the 30-kilometer distance, local runners finished with five of the top 10 times. 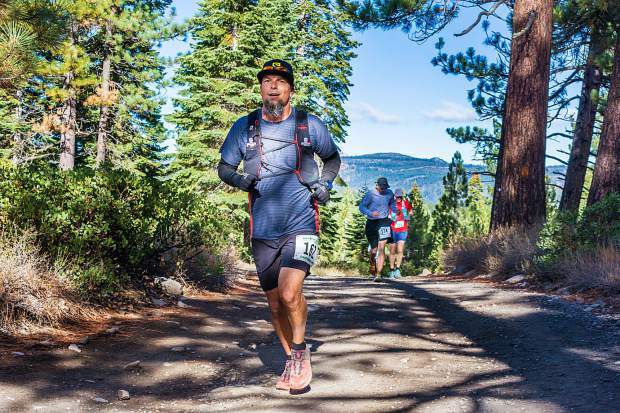 Truckee’s Jack Macy led the way with third overall, and finished with a time of 2:27:52. 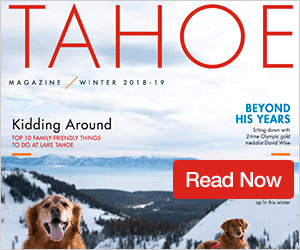 Scott Montgomery, of Truckee, was next in fifth place with a time of 2:36:12, followed by Steve Buelna (2:37:01) in seventh, Tahoe City’s Alex Dove (2:41:08) in ninth, and Truckee’s Janet Highhill (2:45:00) in 10th. Highhill was the second overall woman behind Angelica Swaim, of San Jose, who finished with a time of 2:39:57. Nick Sigmon, of San Leandro, won the race with a time of 2:08:33. Longtime U.S. 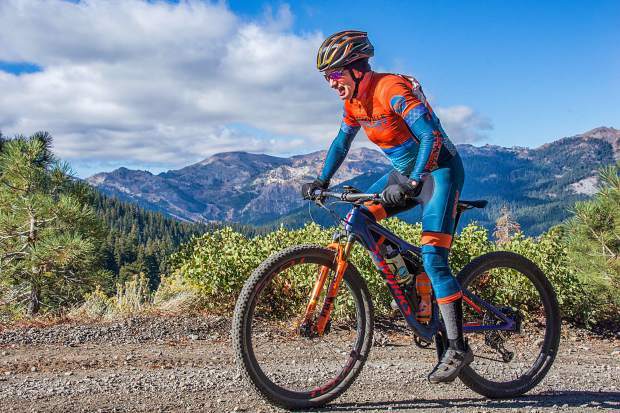 Ski Team member, World Cup racer and four-time Olympian (2006, 2010, 2014, 2018) Stacey Cook captured first place out of the woman’s division in the Elite Course mountain bike race. Cook, 34, finished the race with a time of 2:25:22, topping second place by nearly eight minutes on the 36-kilometer course. Jason Koster, of Weed, was the overall winner, finishing with a time of 1:56:00. 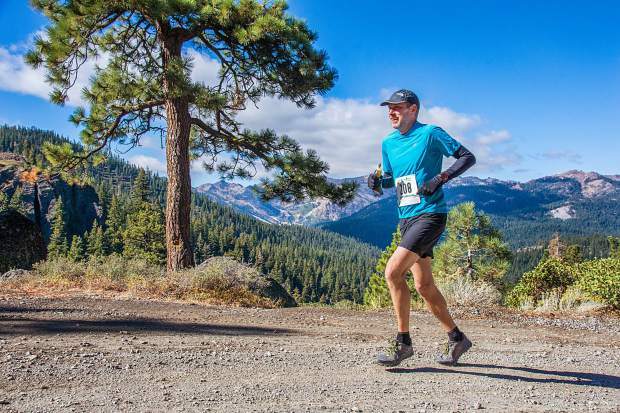 Truckee’s Joseph Burtness won his age group and was eighth overall with a time of 2:08:10. 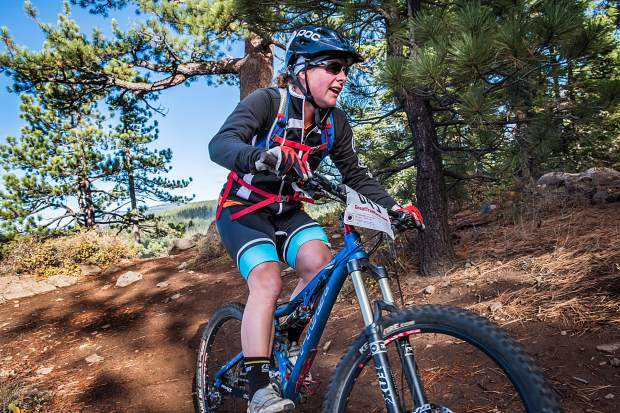 Truckee mountain bikers Julie Munger (4:11:29) and Dennis Crespo (2:05:16) each picked up first-place finishes in the women and men’s 50-59 age group, respectively. 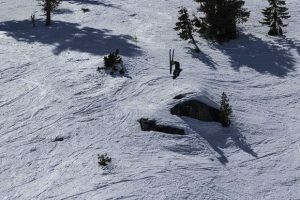 Mark Mirviss, of Olympic Valley, won the 60-69 men’s race with a time of 2:38:56, and Daniel Ross, 71, of Truckee, was the oldest competitor, finishing with a time of 3:09:53. 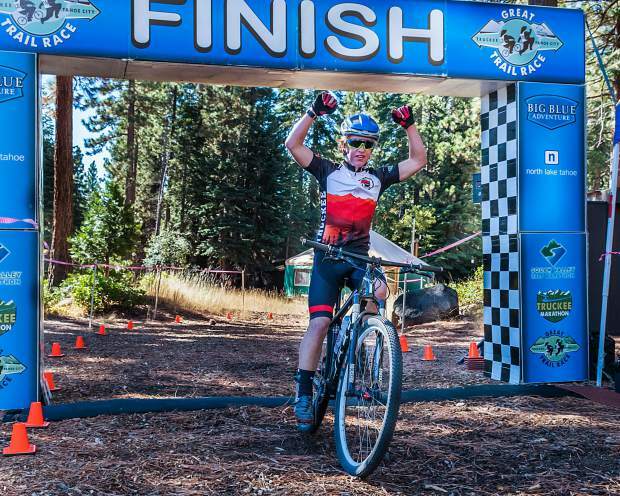 Matt Seline, 14, of Truckee won the 30-kilometer bike race, finishing with a time of 1:14:38, which was more than 15 minutes faster than any other racer. 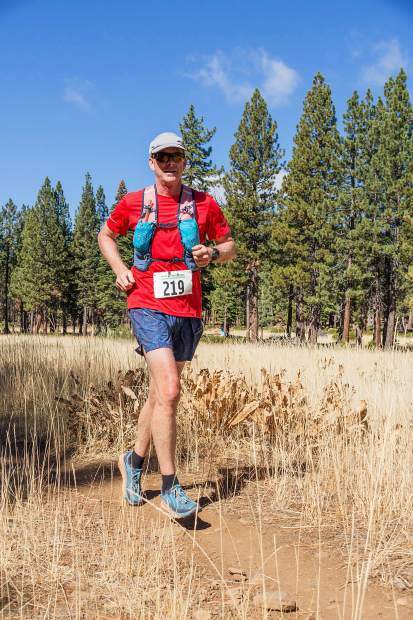 Jim Garrissere, of Truckee, was third overall, crossing the finish line with a time of 1:37:30. Annette Mirviss, of Olympic Valley, was the top local woman, finishing with a time of 1:51:10 for third place. For full results, visit GreatTrailRace.com.